This is a follow up piece to “Go back to the rez” – Thoughts on why it hurt so much, regarding the January 24, 2015 incident that occurred at a Rush hockey game in Rapid City, South Dakota, attended by 57 Lakota students from American Horse School on the Pine Ridge Reservation, as an award for their scholastic achievements. The students, ages 9 to 13, were at the Rush game as a reward for their academic success in the school’s 2lst Century program. http://rapidcityjournal.com/news/local/source-authorities-focus-in-on-one-man-in-racism-at/article_812d2c2f-5b3e-50a2-bdbe-4ba9107118f7.html (last viewed March 31, 2015). “21st Century is a special afterschool program that can be used for summer activities as well. Ours is at least 85 percent academically oriented, with computer-based math and reading programs, along with homework mentoring and assistance.” David Rooks, reporter for Indian Country Today Media Network, quoting Jody Richards, American Horse School teacher and 21st Century program director; http://indiancountrytodaymedianetwork.com/2015/02/09/drunks-dump-beer-native-kids-cops-no-rush-investigate (last viewed March 31, 2015). Rooks further observes that, “American Horse students who take part are very closely monitored for their academic progress. School administrators point to 21st Century as a welcome success in their efforts to raise student performance at the school. Since the annual trip to the Civic Center began, the prize of being able to attend brings a great deal of pride and excitement.” Id. (Emphasis added). “JPB: And they spilled some beer down on us. “SN: Is that what she explained? “SN: K. So male in the Sky Box .... Asked her if she was thirsty? “JPB: Thirsty, asked if they were thirsty. “SN: And is that when she expressed that she had beer poured on her? For purposes of discussion herein only, I accept the allegations made by the children and the chaperones as substantively true. Because, whether the verdict is guilty or not guilty, there will be no winners. Neither those who strive so aggressively to condemn and prosecute the actors and actions against the children, nor those, including the adult participants who stalwartly refuse to acknowledge or address the harm their actions caused these children, appears to actually be considering the children’s interests and the substantial additional harm testifying in a criminal trial is likely to cause them. Justin Poor Bear cannot testify that he heard the young girl say “those men ... asked us if we were thirsty” or that she said “And they spilled some beer down on us.” Nor can Grandma Mabel testify that she heard the young girl say the same in order to prove it happened. Repeating what another person said in order to prove that what the person says occurred did occur is hearsay and hearsay is not permitted in a trial. The young girl, and the other students who heard “those men ... [ask] us if we were thirsty,” or who had beer spilled on them, or who heard and saw the man in the skybox tell them to “Go back to the rez” will have to testify to what they heard said to them, what was done to them, and that it was the defendant who committed these acts. Children’s ability to answer questions in an actual courtroom may differ from their capacity to answer the same questions in a less formal or more familiar setting. Indeed, the physical courtroom environment has been criticized for creating a threatening atmosphere that could hinder children’s ability to answer questions posed to them. Research findings support these concerns: children find the courtroom environment to be stressful, and their resultant anxiety appears to interfere with their ability to provide complete and accurate recall. Though the trauma of such an experience for a child should be obvious, the depth of that trauma and the ensuing harm to the child may be less so. Over the past three decades, widespread concern has been raised about children’s ability to cope with a legal system that was designed by adults, for adults. For example, research suggests that children’s experiences within the criminal justice system can have marked and prolonged negative effects on their education, mental health, and beliefs about re-engaging with the legal process. There is little doubt that being cross-examined is not a pleasant process for any witness. Even expert witnesses and police officers find the process of being cross-examined stressful and confusing; considerable material has been written to assist experts to respond to cross-examination questions calmly and with confidence. Children, however, are likely to find the challenges that cross-examining lawyers pose to their accuracy, credibility, and motivation particularly disconcerting, because this type of verbal exchange goes well beyond their conversational experience. Indeed, most child complainants describe cross-examination as very distressing; many cite cross-examination and the behavior of defense lawyers as the most frightening aspects of the trial. · Asking questions requesting highly specific information about the alleged event or perpetrator, such as questions about time, frequency, duration, directions, and measurement (questions that are often beyond children’s developmental reach). But, won’t the judge protect the children? Although the judge has a duty to and will stop any “obvious” harassment of the children during cross-examination, he or she will have to do so while carefully balancing the defendant’s constitutional right to confront and cross-examine those witnesses against him. Zajac, O’Neill, and Hayne indicate that the data suggests judges rarely intervene when a child is giving evidence. Id. They note that this is most likely a result of judges not having a good understanding of the types of questions that are not appropriate for children. Id. They further observe that “a lack of knowledge about what constitutes appropriate questioning is not the only reason that judges might be hesitant to intervene.” Id. Numerous researchers, for example, have suggested that judges may fear seeming biased. Intervening can also cause considerable disruption in a trial, especially if the jury needs to be sent out while discussion takes place. Finally, some judges … indicated that thorough testing of the child’s evidence during cross-examination was of utmost importance, and that a child’s distress was an unfortunate – but acceptable – consequence. Id. (internal references omitted) (emphasis added). Recent research has made it clear that cross-examination is unlikely to be the truth-finding technique that many believe it to be. Instead, the style of questioning typically used during this process directly contravenes almost every principle scientifically established over the past 30 years for obtaining complete and accurate evidence from any witness, particularly a child. Of specific concern, the types of questions typically employed during cross-examination have been shown to exert a significant negative effect on the accuracy of children’s reports about personally experienced events. On the other hand, it is clearly dangerous to allow testimonial evidence to go untested – especially when corroborating evidence is absent or limited. This is precisely that kind of case, where corroborating evidence is absent or limited, where the children’s testimony is necessary, if not indispensable to the State’s case against the defendant. For, few can reasonably argue that the conduct of a drunken adult in asking children if they are thirsty and then pouring beer on their heads is not, at a bare minimum, a criminal disorderly act. Something happened that night at the Rush game and it would not be unreasonable to believe it was very close to, if not exactly what the children and the chaperones say happened. The question that perplexes me is why we as a civilized society seem to be incapable of finding an alternative method of resolving this matter, one through which we might demonstrate we can learn and have learned important, progressive lessons rather than causing more harm to children already struggling in an environment where mere survival is a profound challenge. But, this need not be a criminal matter; it can instead be firmly grasped by a responsible society and its members as a path to enlightenment, to healing, to understanding. If it is not, nothing good will ultimately come from compounding a tragic error founded on curable ignorance. Ignorance is not a bad thing in itself, but perpetuating it is. Justice is rarely delivered by the courts, because one side will almost always perceive that it was not. Nor is justice effectively imposed by a court. Justice is delivered by people, one to another, actively embraced and compassionately practiced by communities, voluntarily. Justice begins to be delivered, finally, in the steps taken to prevent future injustice. Can we not take such steps now and begin to end the hurt? Perhaps we can begin to heal the hurt by express recognition that the acts were, indeed, profoundly harmful, coupled with sincere apologies and identification of steps to prevent a reoccurrence of such an event. What an awesome impression that would surely make on, and such a beautiful example it would certainly be, to all our children. There are good people of all races in Rapid City and across the state of South Dakota, and their voices are needed to help rectify this regrettable injustice. My hope is that those who were responsible for the bullying in this incident will come forward, offer a heartfelt apology and take steps to make amends to the children. There are paths to redemption for everyone, when we take responsibility for our behavior and do the right thing for those who have experienced injustice. This would be a meaningful step toward healing and reconciliation. Bernice A. King, Chief Executive Officer, The King Center, “An Open Letter to the Young People of the American Horse School in Pine Ridge, South Dakota” http://www.huffingtonpost.com/bernice-a-king/an-open-letter-to-the-young-people_b_6724480.html (last viewed March 31, 2015). I'll Be Signing A Couple Of Petitions Soon And I Hope You Will Too. These Are More About Principle Than Politics. into law this Winter. 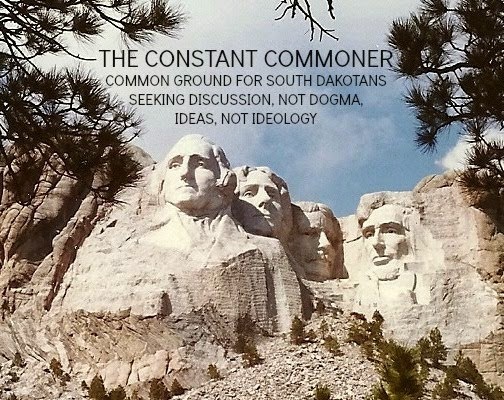 South Dakota's most persistently outspoken and prolific blogger, Cory Heidelberger over at Dakota Free Press, has already started up a petition drive to get both bills referred to the voters of the state before they're put into practice on July 1. If the drive succeeds in getting somewhat over 13,000 signatures on each petition, the measures will be put on hold until the public gets a chance to vote on them in November, 2016. I call these bills "obnoxious" because they're an affront to the democratic process. Senate Bill 69 stinks because it limits independent candidates circulating their petitions to signatures gathered only from voters who are registered as Independents. This is pure, unadulterated baloney, because it denies me, a Republican, the opportunity to put an independent candidate on a ballot even though I just might be likely to vote for that candidate. That I'm a Republican by registration does not in any way mean that I vote exclusively for Pubs, e.g., I voted for Larry Pressler the independent in last November's election, and believe me, if I saw an attractive independent candidate coming down the pike before the next election, I'd want to make every effort at getting that person on the ballot, including signing a petition. Denying me the chance to do so is denying my ability to support a candidate just because I'm a Republican. I think that's a denial of my rights and I think it stinks. on young people and a trashing of the electorate itself. Last November South Dakota voters passed an initiative that mandated an $8.50/hr minimum wage with built in cost-of-living adjustments. The initiative applied to "every" employer and "each" employee. So what do South Dakota's legislative and executive branches, top heavy with Republicans who were relentlessly goaded by the South Dakota Retailers Association, do? They stunningly and gratuitously assigned themselves the task of divining the voters' will and decided that, despite the intitiative's clear and all-inclusive language, what voters really intended was for a lower minimum wage for workers aged 17 and younger. I wasn't aware that mind-reading was a hiring qualification for elected officials in this state, but the alteration of the law passed by taxpayers suggests that many of our reps in Pierre consider mental telepathy to be part of their job descriptions. These clairvoyants need to be reminded that what the voters want is what the voters want. I'll be downloading the petitions as provided by Heidelberger at the site I linked in the first graf. My thanks to Cory for making the process so easy and (Are you paying attention to the following word, elected officials?) accessible. The third link is to Cory's instructions on how to print and distribute the petitions, with a reminder that they CANNOT be circulated before tomorrow, March 31. Here's the SB 69 petition (ballot access). Here's the SB 177 petition (youth minimum wage). Here's Cory's list of instructions (circulation guide--which must be rigorously followed). Best of luck on these twin re-affirmations of the democratic process in South Dakota. Re: EB-5. What Got Buried With Benda? Is It Too Much To Ask For The Autopsy Report? You go, Mercer. EB-5 "cash for green cards" fiasco remains unfinished, has been doing a yeoman's job of trying to get some information on the imbroglio that South Dakota Attorney General Marty Jackley refuses to release. Mercer wants the autopsy report on the suicide of Richard Benda, the SD state official who was most closely identified with the debacle, and is suing the Attorney General in an effort to get the information released. This week South Dakota's Supreme Court is hearing Mercer's appeal of a lower court's ruling that AG Jackley is within his powers to hold the information back. It's a messy deal. The well-known timeline has it that Benda killed himself at about the time that Attorney General Jackley was going to have the official arrested for his shenanigans in the EB-5 affair. As the matter is still under investigation by federal authorities, the last words on who did what remain to be heard. Meantime, South Dakota's state legislature tried to put some closure on it last December. It's legislative committee blamed the whole mess on Benda. Considering that the State of South Dakota may be out as much as $120 million because of the way the EB-5 program's operations were diverted from the state to private control, there's some reason to wonder about the details and surrounding circumstances of Benda's suicide. Dead men don't talk, but their autopsy reports may have some information worth pursuing. privacy and personal feelings. Cory Heidelberger puts it in a nutshell in his recent analysis of the situation at Dakota Free Press, calling Mercer's arguments moral ones that fall short of statutory mandates and that "our conservative state supreme court seems unlikely to look past the letter of the law." Though SDSC's agreement* to hear the case certainly confirms that the stakes here are of the highest, I guess I have to agree that the outlook for Mercer--and the rest of us who want to know everything that happened--is not so good. Just the same, there's the matter of how compelling is the need for truth to emerge, for justice to be served. I happen to think it's pretty damn important, and I certainly hope that somewhere inside the statutory imperatives there's enough wiggle room for the facts of EB-5's catastrophically expensive--and tragic--venture in South Dakota to escape into the fresh air and sunshine of full disclosure. *To clarify, as reader Kurt Evans notes in the comments section below, SDSC hears all appeals that come before it. I stand corrected and informed. I have tried to understand why the incident in Rapid City during a Rush game, where some adults spilled some beer on some Native American kids and told them to “Go back to the rez,” why the incident ignited such a fury in the Native American community it affected. Why it caused one of the chaperones to cry that night, to assemble the kids and flee the environment, and why it caused her to cry so much during her relating of the incident to the police investigator. I have never lived on a reservation and my skin is white so my perspective is less important to the reaction than those who were directly affected. I have endeavored, as much as is metaphorically possible, to crawl into the skin of the Native Americans who experienced the incident, and see it from their perspective. The following is what I saw. Carleigh Campbell wants to be one of the ones who makes it. She dreams of going away somewhere to a big college in a big college town, where the buildings gleam and successful people crowd businesses the way people on the reservation crowd in crumbling trailers. A little beer spilled on some Indian kids, a foolish remark to those same kids, “Go back to the rez.” Inappropriate, certainly; wrong, without doubt, but c’mon, what’s with the almost violent reaction to the incident by the Native community where those kids were visiting from? A supreme case of overreaction, some might say, many others undoubtedly, silently believe. In a vacuum of ignorance, the Native American reaction to the incident seems to have been monumentally overblown. But, that is what makes ignorance so dangerous, so capable of mass hurt, so inconducive to social healing. should feel, or whether an apology might be a decent gesture. Perhaps there is room in our judgment for a pause, for even a little expression of empathy, enough, perchance, to begin the healing. Let’s consider, first, that but for “[a] more ripe and rank case of dishonorable dealings [that] will never, in all probability, be found in our history…,”those Indian children would have been within their rights to tell the men in that skybox to “get off our rez.” See United States v. Sioux Nation of Indians, 448 U.S. 371, 388 (1980) (determining that the Black Hills were taken by the Government, not sold to the Government by the Sioux, as discussed further, below). “For over a century now, the Sioux Nation has claimed that the United States unlawfully abrogated the Fort Laramie Treaty of April 29, 1868, 15 Stat. 635, in Art. II of which the United States pledged that the Great Sioux Reservation, including the Black Hills, would be ‘set apart for the absolute and undisturbed use and occupation of the Indians herein named.’” Id. at 374. “The boundaries of the reservation included approximately half the area of what is now the State of South Dakota, including all of that State west of the Missouri River save for a narrow strip in the far western portion. The reservation also included a narrow strip of land west of the Missouri and north of the border between North and South Dakota.” Id. at 424, Footnote 2. Justice Blackmun, writing for the Court, noted “President Grant's duplicity in breaching the Government's treaty obligation to keep trespassers out of the Black Hills, and the pattern of duress practiced by the Government on the starving Sioux to get them to agree to the sale of the Black Hills.” See id. at 388 (citing the lower court’s opinion which the Supreme Court was reviewing, and which it upheld; 207 Ct.Cl. at 241, 518 F.2d at 1302). The Government, for over a hundred years, had claimed that the United States did not take the land from the Sioux, but, rather, that the Sioux had sold the land to the Government under an 1877 Treaty abrogating the Fort Laramie Treaty, the 1877 Treaty then being codified in 1877 as an Act of Congress. The United States Supreme Court disagreed, finding that “the 1877 Act effected a taking of tribal property, property which had been set aside for the exclusive occupation of the Sioux by the Fort Laramie Treaty of 1868. Id. at 424. The Supreme Court upheld a compensation award that, combined with interest, amount to over $100,000,000, and which today, because the Sioux have refuse to accept the “compensation,” (they want their land, not money from a forced taking) was placed in trust and now, with interest, exceeds $900,000,000. The argument that, well, $900,000,000 could solve a lot, if not all, of the problems plaguing the reservation is academic, because far more so could the return of the vast amount of land that was wrongfully taken, land from which, taking the Black Hills alone, the value of gold reaped has far exceeded the $900,000,000. Nonetheless, this is beside the point that saying, “Go back to the rez,” to a Lakota Sioux is an astonishing insult considering that, but for the most “ripe and rank case of dishonorable dealings [that] will [e]ver, in all probability, be found in our history,” they would have already been on the rez, and the men in the skybox, trespassers. But for “the pattern of duress practiced by the Government on the starving Sioux to get them to agree to the sale of the Black Hills,” which the Supreme Court determined was not, in fact, a sale, those Indian children would have already been on the rez. But, let’s also consider what it means to an Indian, particularly an Indian child, to be told to “Go back to the rez.” Let’s remember that these Indian children had earned the privilege of going off the rez, if only temporarily, through their high academic achievements. The late performer and Indian activist Floyd Red Crow Westerman was haunted by his memories of boarding school. As a child, he left his reservation in South Dakota for the Wahpeton Indian Boarding School in North Dakota. Sixty years later, he still remembers watching his mother through the window as he left. At first, he thought he was on the bus because his mother didn't want him anymore. But then he noticed she was crying. In 1945, Bill Wright, a Pattwin Indian, was sent to the Stewart Indian School in Nevada. He was just 6 years old. Wright remembers matrons bathing him in kerosene and shaving his head. Students at federal boarding schools were forbidden to express their culture — everything from wearing long hair to speaking even a single Indian word. Wright said he lost not only his language, but also his American Indian name. According to Tsianina Lomawaima, head of the American Indian Studies program at the University of Arizona, the intent was to completely transform people, inside and out. “Language, religion, family structure, economics, the way you make a living, the way you express emotion, everything,” says Lomawaima. Education is how we lift people from poverty to a bright future... Poverty is an enormous problem as we’ve heard here today. The only way to lift people out of poverty is to give them an education that honors their culture, their identity, and who they are as human beings. American Indian students in tribal communities face challenges that are more serious than their peers in urban low-income communities. Many BIE schools are, for instance, located in some of the poorest regions of the country. According to the U.S. Census, four of the nation’s five poorest counties overlap at least partly with American Indian reservations. These communities experience a high rate of unemployment and a higher concentration of residents who are 18 or younger. For example, the Pine Ridge community experiences an 80 percent unemployment rate and the per-capita income is less than $8,000 a year. In an interview with Education Week, the executive director of the Oceti Sakowin Education Consortium (a group representing tribal schools on Pine Ridge and other South Dakota reservations) described the schools’ challenge, “[w]e have a lot of young people on the reservation and not nearly enough jobs. So that presents challenges to us as educators when we are trying to convince our young people to stay in school, to do well in school, to graduate, to go on to college.” This chronic high unemployment among American Indian adults tends to contribute to substance abuse, domestic violence, and a low level of social capital in tribal communities. From 1980 to 2000, the counties that make up Pine Ridge Indian Reservation in South Dakota comprised the poorest of our nation's 3,143 counties. The 2000 census found them the third poorest, not because things got better on Pine Ridge, but because things got worse on two other South Dakota Indian Reservations. In almost any other context it would be a given, an expectation as simple as a dark cloud spitting rain. But when 12-year-old Carleigh Campbell tested proficient on the South Dakota achievement test last year, it was a rather astonishing feat. Campbell is a student at a school where four students have attempted suicide this year alone. Roughly four out of five of her neighbors are unemployed and well over half live in deep poverty. About 70% of the students in her community will eventually drop out of school. It’s against this backdrop that Carleigh met expectations on the state’s mandated exam, the only student out of about 150 in her school to do so. To state the obvious, Carleigh’s academic achievement is a bright spot in an epically dark place. Carleigh is a Native American sixth grader at the Wounded Knee School located on the Pine Ridge Indian Reservation, where a well-documented plague of poverty and violence has festered since the Oglala Sioux were forced onto the reservation more than a century ago. There is virtually no infrastructure, few jobs and no major economic engines. Families are destabilized by substance abuse and want. Children often go hungry and adults die young. These realities wash onto the schoolyards here with little runoff or relief, trapping generations of young people in hopelessness and despair. Carleigh’s father, Ron Campbell, is a teacher’s aide at Wounded Knee School. He grew up on Pine Ridge, where, “suffering is woven into nearly every part of daily life.” Id. msnbc. Life expectancy for men is just 48 years old; for women, 52. Id. “The obituary sections of tribal newspapers are dotted with young-ish looking faces. As a teenager, Campbell lost nearly 10 friends to violent deaths, either by suicide or drunk driving.” Id. So, maybe in all this there is some idea of why it hurts so much to have a bit of beer spilled on children in the context of being told to “Go back to the rez.” How it is that being told, after getting off the rez temporarily because of stellar academic performance, to “Go back to the rez” is so painful, so humilating to hear. And for the chaperones, who know from their own endurance of that soul-crushing life on the rez what it means for the children to escape, only to face scorn and derision, for it to be made clear that they are not wanted, that they belong only on the rez, what amount of pain must that cause? Pray that we, who have no idea what it is like to not only merely survive, but to excel in an environment such as the one Carleigh struggles daily within, will begin to welcome her and all the children with open arms and love. They have suffered long enough. SD Young Workers: Guess Who? Hint: It Isn't Governor Daugaard. Measure 18, which raised the minimum wage across the board to $8.50/hour is indeed causing reverberations. The measure was all-encompassing in its wording, ordering "every" employer in South Dakota to pay "each" employee $8.50/hour, with a built in cost-of-living adjustment included in the measure. Seems pretty simple and direct. There are some exemptions, but as a practical matter this affects virtually every employer and employee in the state. That a majority of Republican legislators and Republican Governor Daugaard refuse to understand the words "every" and "each" is a matter of record. That these officials justify their passage of a law (Senate Bill 177) that withdraws the mandate from workers under the age of 18 by claiming they can divine voter intent is dismaying, at least, worrisome at worst. Daugaard's sentiment at the time of the signing has the makings of a terrible precedent. He stated that he doesn't think this modification of the law is "an affront to the will of the voters" and that the campaign supporting it "focused on adult workers who support a household and not on teenagers." The state's Democratic Party was probably the most visible supporting organization (the AFL-CIO also pushed for it) and did indeed call attention to the fact that 78% of the 62,000 affected South Dakotans were over the age of 20, "often with a family to support." But that factual recitation didn't mean supporters were "focused on adult workers." In general, the support was for all South Dakota workers and their families. And anyway, since when did Daugaard conclude that income earned by younger teenagers wasn't a part of their families' overall household support? Daugaard's casual assumption that the money teenagers earn is of no importance to their families goes against the grains of history and reality. I know plenty of situations where the money earned by the youngsters in a family is pooled and spent or saved--especially for things like college and vo-tech educations. That's especially true in a state like ours, filled with family farms and family-operated businesses. We have a long history in South Dakota of families pulling together in mutual support. The work these kids do and the money they earn for it MATTER, Governor Daugaard. effort that I've ever heard of. On that basis, I'll wholeheartedly support efforts made toward referring this noxious rejection of voters will and family values back to the people of the state. Cory Heidelberger gives a good recap on the nuts and bolts of starting a referendum petition over at his perpetually excellent blog Dakota Free Press (nee Madville Times). This might be a great political opportunity for South Dakota Democrats to get behind a rejection of the Governor's assault on our young people. Downtrodden Dems in South Dakota could use a good rallying point, and I can't think of a better one than finding the 13,000 or so petition signatures that it would take to get the Governor's willful devaluation of young workers on the November, 2016, ballot. Referring it would also delay implementing this official brush-off of the worth of young workers for two full summers. That means the existing $8.50/hr wage--with automatic cost of living adjustments--remains in place long enough for employers, young workers, government officials and everybody else in this state to realize that the prospect of young people being paid the same money as their older counterparts for doing the same work isn't so gosh-awful a predicament after all. I know that enough activists are scattered around the state to round up the necessary number of signatures. I look forward to adding mine to their petitions.